R&B star Chris Brown steps out for the first time with his girlfriend Karrueche Tran since Rihanna gave that heartfelt Oprah interview earlier this month. DETAILS: Did Chris Brown Mother Go At Rihanna On Twitter After Oprah Interview? The two looked very happy together, destroying any rumors of a relationship between Breezy and Rihanna. During her one-on-one interview with the queen of talk show, Rihanna revealed that she is still in love with her ex-boyfriend Chris Brown. While some fans bashed her for still having feelings for Breezy, other praised her for her being genuine about her feelings. Karrueche still howt:luv her compared2 rihanna. 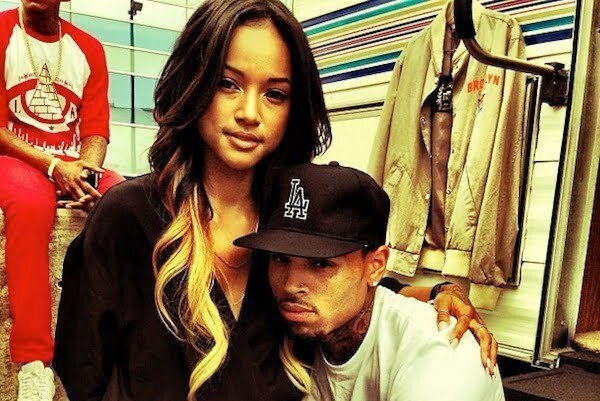 Chris brown gfriend looking like a hutchy…..